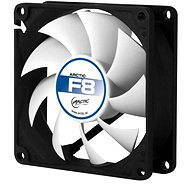 This very silent and reliable 80mm Gelid Silent 8 fan will provide enough air flow with a great price / performance ratio. Hydrodynamic bearings ensure an almost inaudible performance. Thanks to the rubber anti-vibration pad, a minimum amount of vibrations are transmitted to the cabinet. The fan has seven blades optimised for maximum efficiency. 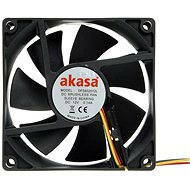 Fan lifetime is 50,000 hours of operation at 40°C. 20.72 CFM (35.2 m3/h) Done! 80 × 80 mm Done! For shipping to other EU countries visit this page GELID Solutions SILENT 8. Für Versand nach Deutschland, besuchen Sie bitte GELID Solutions SILENT 8. Chcete doručit zboží do Česka? 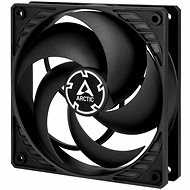 Prohlédněte si GELID Solutions SILENT 8. Chcete doručiť tovar na Slovensko? Prezrite si GELID Solutions SILENT 8. Für Versand nach Österreich, besuchen Sie bitte GELID Solutions SILENT 8. Magyarországra történő kiszállításért tekintse meg ezt a termékoldalt: Gelida Solutions SILENT 8.